Home to the legendary flame-grilled PERi-PERi chicken. Afro-Portuguese inspired. South African born. Whether you are eating in the restaurants or getting a take-away, the very taste of their famous PERi-PERi-chicken and the warmth and pride with which it is delivered, are proof of their passion. 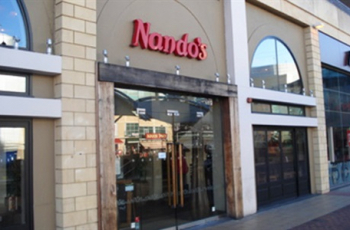 The restaurant chain originates in South Africa, with a Mozambican/Portuguese theme! Filled with vibrant colours, incredible patterns and interesting mixes of old and new, the African interior design pays homage to the original roots in a fresh, exciting way that’s packed with heat and a lot of heart!